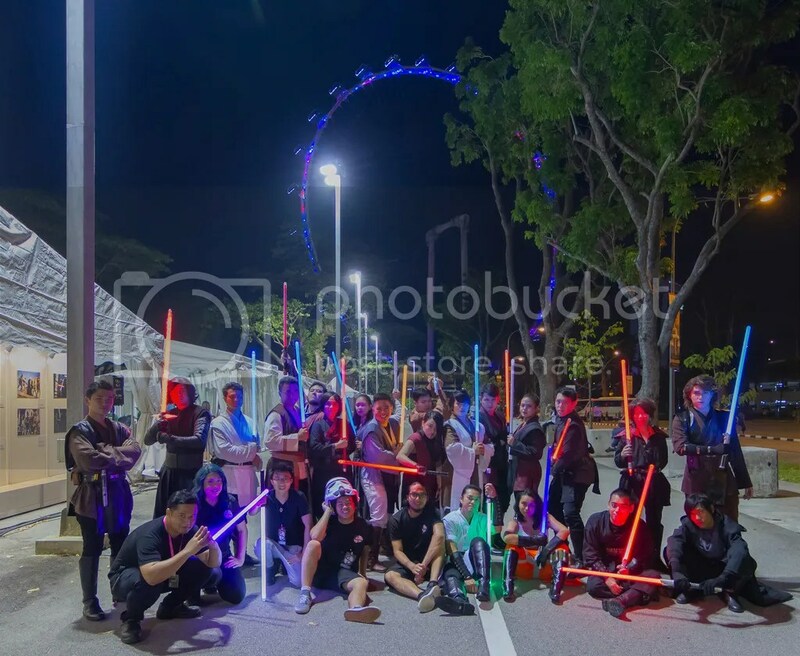 Star Wars Day is upon us once again, and once again, FightSaber SG participated in the May The 4th SG, now in it’s 5th edition. 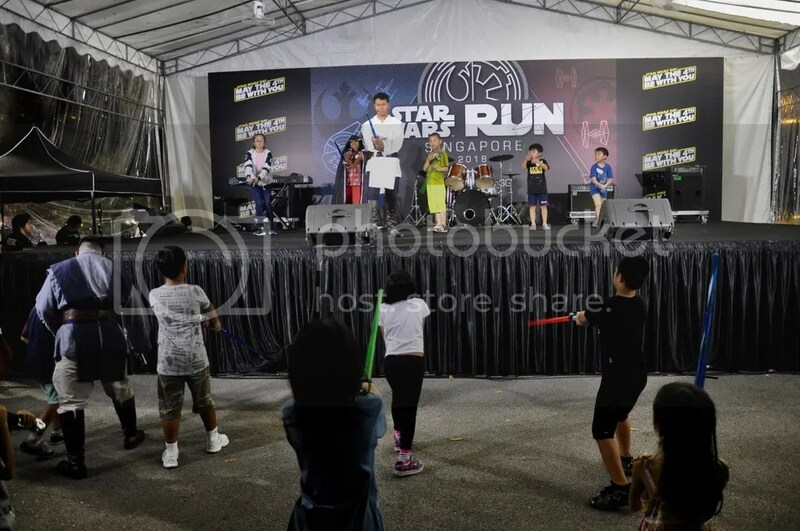 This year, again, it was held in conjunction with the Star Wars Run Singapore 2018. 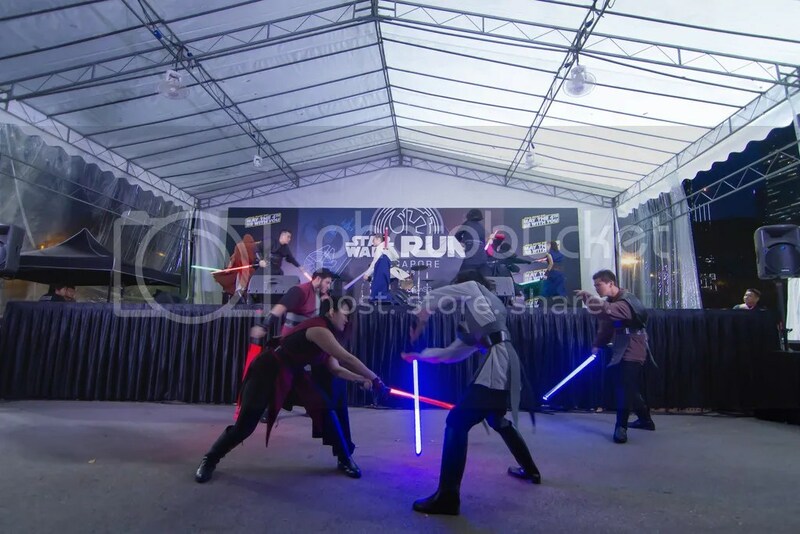 Situated at the F1 pit building and it’s surrounding areas, the event was graced by all the local fan groups, 501st Legion Singapore Garrison, Rebel Legion Cathar Base, Galactic Academy Hosnian Prime Campus, and also members of 501st & Rebel Legions from various countries. Not to forget, the founder of the 501st Legion, Albin Johnson, and the movie star, R2-Kt. All members of the costumed fan groups did a march-in led by Albin Johnson. 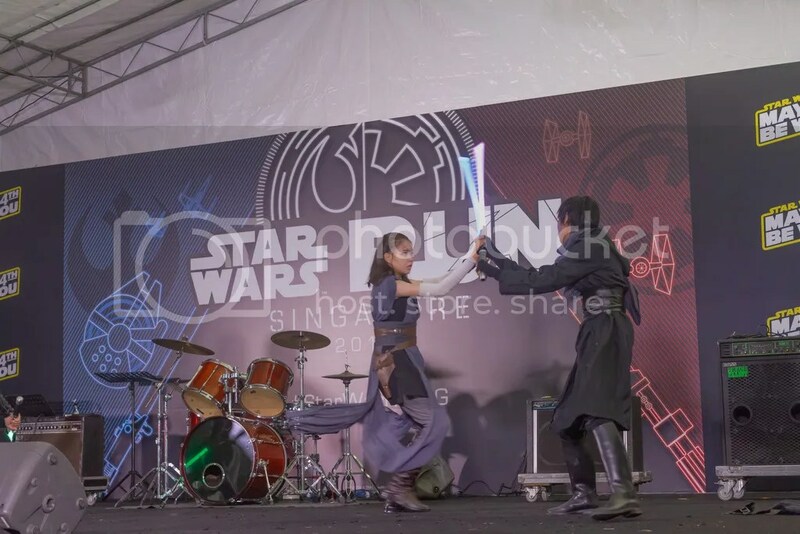 FightSaber SG performed three times over the 2-day event. 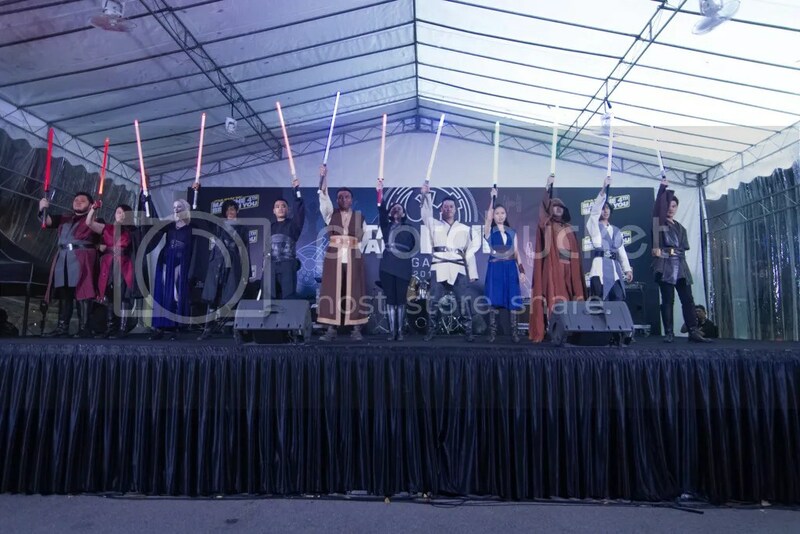 FightSaber SG also had the opportunity to perform with the region’s first Star Wars costumed band, who were also making their debut at this event. Check out Dark Empire’s full set below! 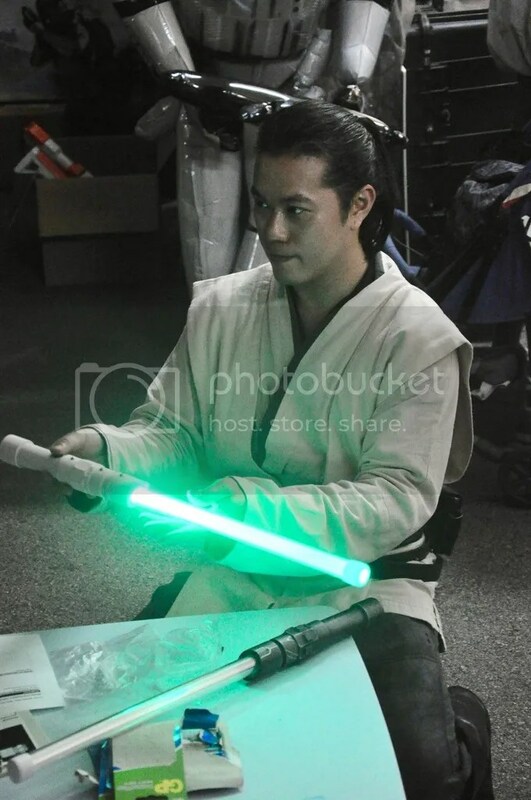 We also did a couple of Jedi Academy workshops for children as well as probably the first ever build-a-lightsaber workshop with simple & easy to find materials! Despite the (extreme) heat, and a few heat casualties, we all enjoyed ourselves and looking forward to future iterations of May The 4th SG. May the Force(4th) be with us all!